On May 28, 2017, instead of airing the rerun of episode 9 of the Kono Subarashii Sekai ni Shukufukuwo anime, they broadcast a 30 minute live action talk show. 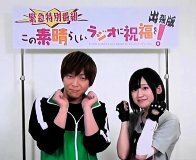 Takahashi Rie and Fukushima Jun appeared in a special TV version of the Kono Suba Radio show. 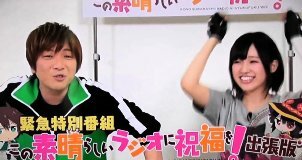 The staff decided that they couldn't broadcast episode 9 during daytime hours, so they broadcast this show. 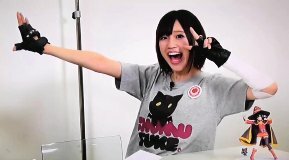 Rie and Jun played various games and introduced some Kono Suba goods. At the end they gave a summary of the episode 9 story, as episode 10 (the final episode) was going to be aired next week.